Released in 2000, The Watcher is one of those movies where a burned out FBI Agent finds himself locked in a game of cat-and-mouse with an overly verbose serial killer. The FBI agent doesn’t want to get involved and is struggling with a drug addiction. (It’s always either drugs or a wife who doesn’t feel like she knows him anymore.) The serial killer is surprisingly intelligent and well-spoken, despite the fact that most real-life serial killers are only a step or two away from blowing themselves up in a meth lab. Movies love the idea of a witty sociopath but it rarely happens in real life. Anyway, you get the point. Probably just from reading the previous paragraph, you already know everything that happens in The Watcher. There’s not a single moment in this movie that will take you by surprise. In fact, this movie is so full of clichés that I actually got mad at the film’s characters for not being able to figure out that they were all just characters in a predictable serial killer film. Seriously, if I woke up and discovered that I was only a character in a movie, I imagine that I would devote at least a few minutes to having an existential crisis. There is also a lot of random slow motion in this movie. The slow motion doesn’t create suspense or generate thrills or anything like that. It’s just kind of there. Really, the only interesting thing about The Watcher is the cast. For a movie like this, it has a surprisingly good cast. James Spader plays the FBI agent. Marisa Tomei plays the agent’s therapist. (She’s also the only female character to have more than 10 lines in the entire movie. To be honest, it’s a role that anyone could have played but Tomei does her best with what she’s been given.) 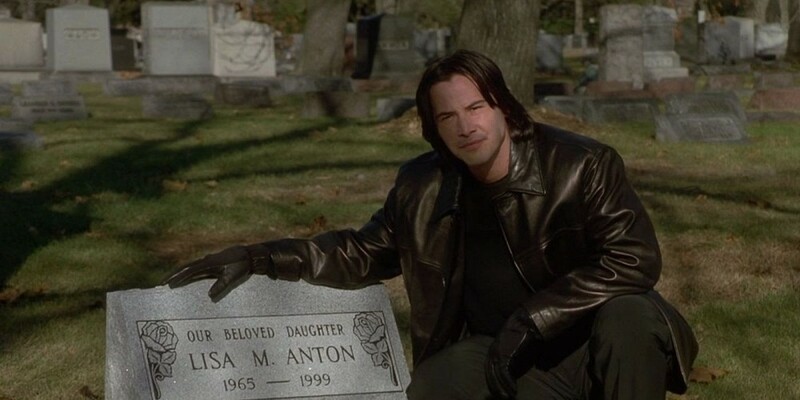 The serial killer, who is named David Allen Griffen because all serial killers have three names, is played by Keanu Reeves. 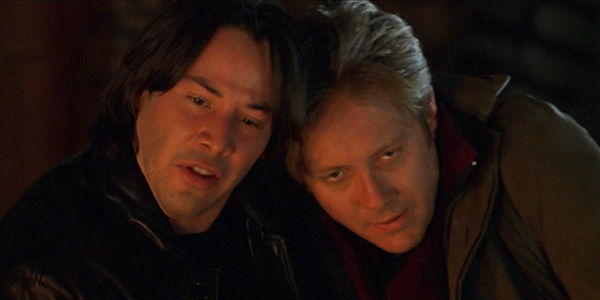 For more than Keanu, James Spader is convincing in his role. Spader spends the entire movie looking like 1) he’s going through massive drug withdrawal and 2) like he’s on the verge of losing his mind. So much of acting is expressed through the eyes and, throughout this movie, Spader’s eyes are bloodshot and exhausted. It’s a superior piece of acting and it’s hard not to feel that it’s probably more than this movie deserved.